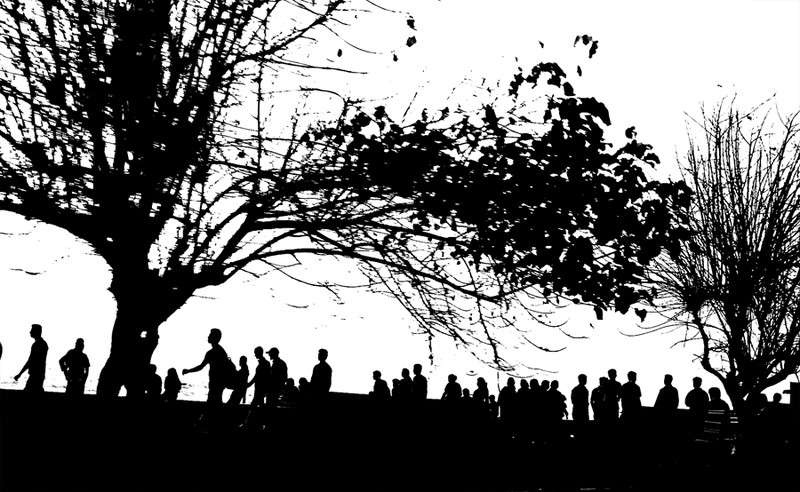 These are black and white silhouettes of crowds of people with a background of trees. 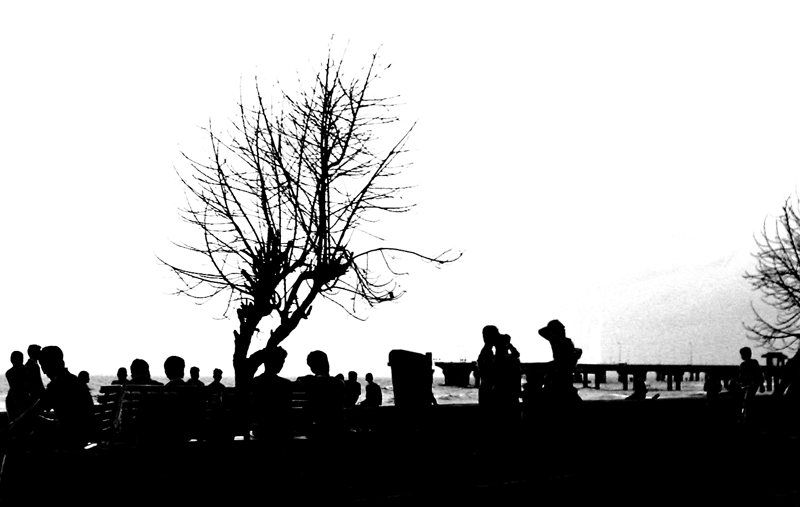 These are based on photographs I took at the Worli sea face. Higher resolution images are available. People in this silhouette are walking along the sea-side. There are two tree silhouettes in this picture. Groups of people sitting on a bench near the sea-side. A tree silhouette is in the centre of the image. Or check out the many different type of silhouettes on this blog, like Silhouettes of birds in flight or Temple Silhouettes and Church Silhouettes. There are a lot of silhouettes of people, men and women, engaged in different activities and also silhouettes of objects. Check out all the Silhouettes .